This undergraduate text distils the wisdom of an experienced teacher and yields, to the mutual advantage of students and their instructors, a sound and stimulating introduction to probability theory. The accent is on its essential role in statistical theory and practice, built on the use of illustrative examples and the solution of problems from typical examination papers. Mathematically-friendly for first and second year undergraduate students, the book is also a reference source for workers in a wide range of disciplines who are aware that even the simpler aspects of probability theory are not simple. 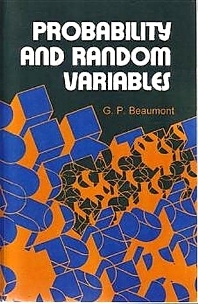 Probability; Conditional probability and independence; Random variables; Continuous distributions; Distribution function; Functions of random variables; Bivariate distributions; Expectation of a random variable; Variance of a random variable; Moment generating functions; Moments of bivariate distributions; Probability generating functions; Sums of random variables; Unbiased estimators; Sampling finite populations; Generating random variables.